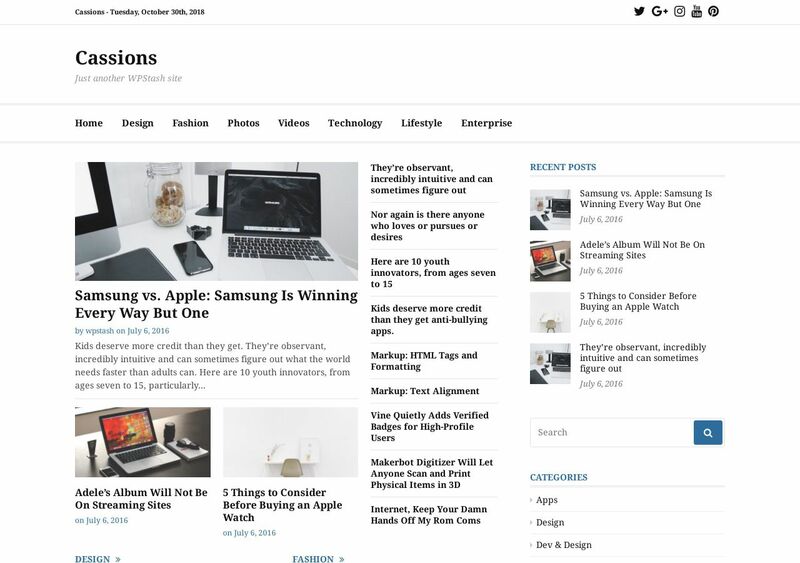 Cassions is a neatly organized all-purpose magazine theme that excels in providing an exceptional readability standard. The minimal use of visual elements helps to emphasize both images and article titles so that readers can quickly find the news that speaks to them. Content posts include room for a featured editorial image while using a Sidebar-style layout to present content in a compact manner. At the same time, this minimalistic approach opens the doors for a lot of flexibility. You can add custom social media sharing plugins, install related posts plugin, and customize widgets you’re using on the sidebar. Footer area is divided into four segments, which means you get a lot of room for adding both business and content information.